Ethiopian Airlines, wey be one of di biggest airline for Africa, don declare say dem go like to take over Nigerian Airline, Arik Air. Nigerian government say Arik Air, dey broke and no get money to do business and dem want throway am give other people to manage. 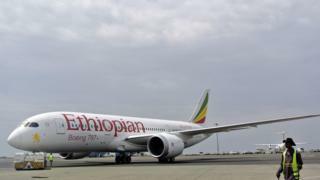 Esayas Weldamariam, wey be di director of International Service for Ethiopian Airlines Group, say dem ready and dey capable to make sure say Arik Air dey successful. For Febuary 2017, Arik Air enter another level after dem no fit pay di salary of dia workers. Na dat one make Nigerian government come take over di company. Na Ethiopian Airlines get di highest number of passengers for West Africa and, if dem start to control Arik Air, dia business go increase for di region.